“This program will help train the next generation of change agents in the public sector who share Clark’s commitment to building a better world,” says Joe O’Brien, executive director of Clark’s new MPA for Senior Leadership program and former mayor of Worcester. Clark University has announced the launch of a new Master of Public Administration (MPA) for Senior Leadership program. The first cohort of students will enroll in fall 2019. According to the program’s executive director, Joe O’Brien, the MPA for Senior Leadership program is uniquely tailored to the needs of emerging and accomplished public leaders who want to boost their influence and grow their capacity to drive change in the public sector. The program’s online format, which will be supplemented by several weekend residencies, offers mid-career professionals the opportunity to advance in the public sector while still working full time. O’Brien understands the importance of investing in the skills and capacities of pubic leaders. With more than 30 years of experience as an elected official, government leader, and policy adviser, O’Brien brings extensive first-hand experience to his new role. He served five terms in public office in Worcester, including one term as mayor and chair of the School Committee. O’Brien also worked for three years as the district director for U.S. Rep Jim McGovern of Worcester, and has served as a political consultant for more than 20 local, state, and federal candidates, including former Massachusetts Lt. Gov. Tim Murray. Most recently, O’Brien served as the executive director of the Environmental League of Massachusetts Action Fund, a statewide environmental advocacy and policy organization. 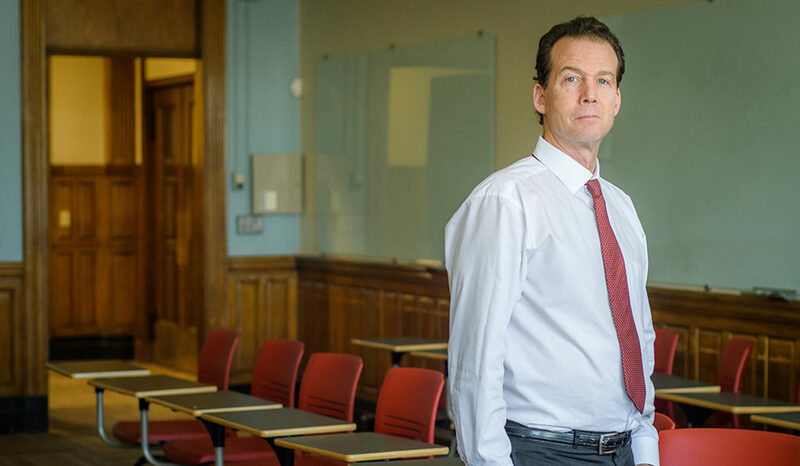 In his new role at Clark, O’Brien looks forward to providing individual mentorship to each student within the incoming cohort. To supplement online coursework, the MPA for Senior Leadership cohort will participate in seven residential workshops, held in key cities throughout New England. Tuition includes room and board for these weekend sessions, which will allow students to explore the issues directly affecting these cities and the region. For instance, a workshop focused on the policy challenges of the emerging cannabis industry will be hosted in Springfield, Mass. Students will learn from relevant speakers, who will share their personal experiences on the frontline of these issues. The residency workshops will also give students the opportunity to network with others in the field and make powerful connections with faculty and classmates. O’Brien also points out that an MPA degree is becoming more and more valuable. Job outlook data supports this sentiment. Experts believe that local and state government will be among the industry sectors most highly impacted by the “Silver Tsunami,” a wave of baby boomers surging toward retirement and draining the workforce of their expertise. With a wealth of job vacancies looming, a new cohort of professionals needs to be ready and prepared to fill these empty positions. The MPA for Senior Leadership program will be administered by the School of Professional Studies and is now accepting applications for fall 2019. The two-year program will be targeted toward individuals with three to five years of supervisory experience in the public sector. The School of Professional Studies will also continue to offer its traditional Master of Public Administration program.